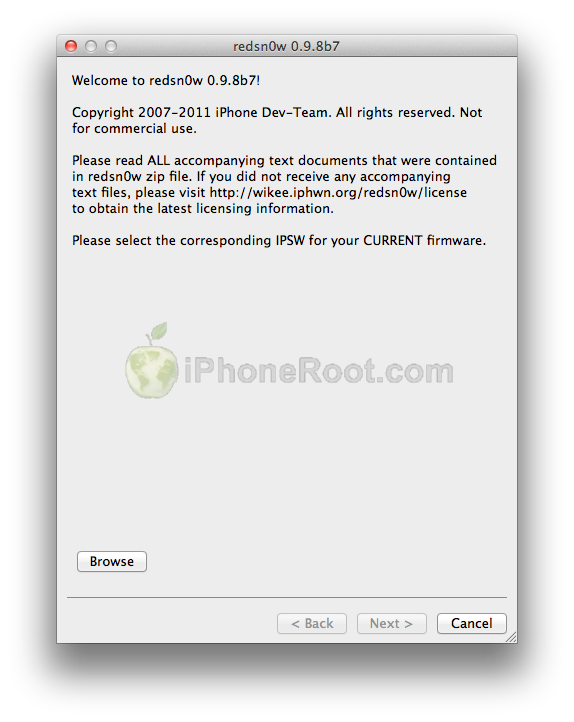 Apple updated the iPad1 iOS5b6 IPSW without changing its version number or filename, so we're releasing redsn0w 0.9.8b7 to handle both the original and changed IPSW. We've also added explicit support for a tethered 4.3.5/4.2.10 jailbreak (instead of pointing at the 4.3.4/4.2.9 IPSWs) and fixed a 4.2.10 problem. You can download RedSn0w 0.9.8b7 here.